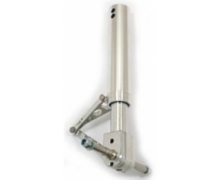 Eurokit Double Axle Ergal Oleodynamic Leg for mm.90-150 wheels, length 145-200mm. 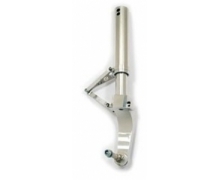 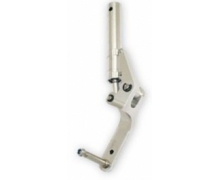 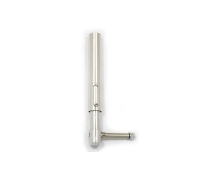 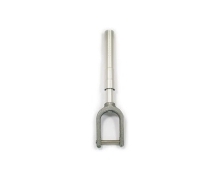 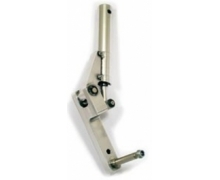 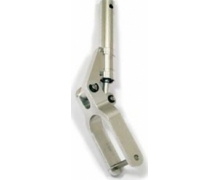 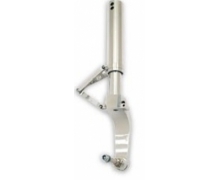 Eurokit Straight Half-Fork Oleodynamic Leg for 75-100 mm wheels,length 200-255mm. 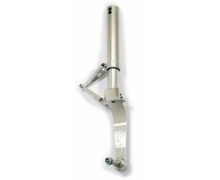 Eurokit Bent Half-Fork Oleodynamic Leg for 75-100 mm wheels,length 200-255mm.